Lancia 3RO was one of most famous Italian Trucks, it was used extensively in all fronts, in particular in North Africa. This versatile unit was famous for its variants. Anti aircraft, troop transport, generic stuff transport, and Repair vehicle which had a complete repair kit and mobile tools. Its design was simple and functional, and was appreciated by several mechanic divisions. NOTE: This unit won't be buildable. To replace it field mechanics will be buildable. This tank can be regarded as a product improvement of the M 14/41 though external resemblance is close. The tank is slightly longer and can be distinguished from earlier models by the lack of a crew hatch on the left side and the appearance of a crew hatch on the right! The gun was longer, the turret was electrically traversed, speed improved, improved armor, and in general, a better ride. 82 of these tanks were built in 1943 before the war ended for Italy, but, these units did see action against the Germans. The rebuilt Ariete Division, located in Italy, took part in the Italian attempt to deny Rome to the Germans between 8 and 10 September 1943. The gun was originally developed as a naval cannon and was a native Italian design very similar to the famous German 88. The gun even had a higher muzzle velocity than the 88 and was adapted/designed specifically for use against Soviet armor. None were ever sent to the Eastern Front. 24 units did see service against the Allies in the 10 Ragruppamento Semoventi which was stationed in Sicily. The sole surviving unit is located at Aberdeen Proving Ground in Maryland USA. Also shown is the accompanying tracked armored ammunition carrier that was a modification of the L.6 tank. The carrier had a 26 round capacity and it towed a 2 wheeled caisson which had a 40 round capacity. A total of 48 were produced. Crew: 2 Supported by an ammunition carrier based on of the L6 light tank (with 26 rounds carried internally) with a towed trailer (that carried an additional 40 rounds). Designed by Ansaldo but based upon earlier Carro Veloce 29. Although commonly referred to as a tank, this vehicle falls more properly within the classification of a tankette. The Italian authorities showed an interest in a small, light vehicle which would be suitable for use in mountainous terrain, leading to the acquisition of 25 British Carden Loyd Mark VI tankettes in 1929. A Fiat-Ansaldo modification of the Mark VI, armed with a Fiat Model 14 water-cooled 6.5 mm machine gun was designated as the carro i,elo(-e (CV) 29. The armament was subsequently changed to a single Fiat Model 14 air-cooled anti-aircraft machine gun, still 6.5 mm. 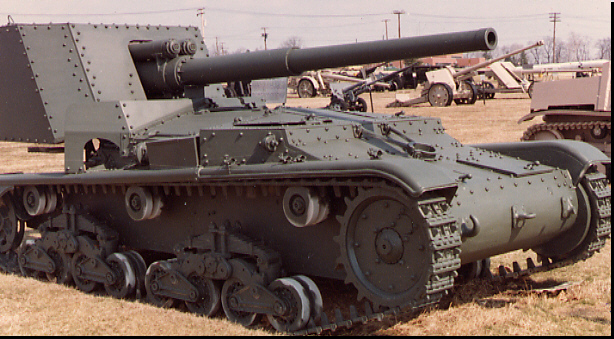 Subsequent modifications resulted in the CV 3/33, still armed with a single 6.5 mm air-cooled weapon. Apart from its distinctive armament, this first series of CV 3/33 had a characteristic track tension idler mounted in a bracket which was attached to the rear idler wheel. In 1934, the second series of CV 3/33 appeared, with the track tension idler separated from the rear idler, and with two 8 mm machine guns as standard armament. The earlier series of CV 3/33 were eventually retrofitted with the heavier armament also. Development continued, and in 1935 the CV 3/35 appeared, incorporating minor design and production changes, and retaining the 8 mm armament. A final version, of which only a limited number was produced, was introduced in 1938. It differed significantly in its suspension system, and was armed with a single Breda 13.2 mm machine gun. External stowage of entrenching tools, etc, varied from series to series. The designation of both the CV 3/33 and 3/35 was changed to L.3 in the late 1930s. Variations of the L.3 were built for special applications. The most frequently encountered variant was the flamethrower, which was built in a version with a self-contained tank for flame liquid, and also in a version in which a wheeled tank trailer carrying the liquid was towed behind the CV. Of all the anti-aircraft guns in service with Italy from 1941-1943, none was better than the Cannone da 90/53. It was an excellent weapon that could stand comparison with any of its contemporaries and it was a good, sound and modern design. The Cannone da 90/53 was built and designed by Ansaldo and the first examples were produced in 1939, with production being authorized in three main versions. The most numerous version was supposed to be the modello 41P intended for static emplacement only with 1,087 guns of this version being ordered. A further 660 guns were ordered as the towed modello 41C, while another order was for a further 57 guns to be mounted on a variety of heavy trucks and called the autocannoni da 90/53. A later order requested yet another 30 barrels for mounting on self-propelled tracked vehicles. The Italians used the 90/53 as a multi-purpose weapon on occasion, but some were emplaced as dual-purpose anti- aircraft/coast defense weapons. At times they were used as long-range field guns and the performance of the gun was such that it could match the 88 as an anti-armor weapon. Numbers of the gun were also diverted to the Italian Navy. The Germans valued the 90/53 so highly that following the Italian surrender in July 1943, they impressed as many of the 90/53s as they could find and sent many of them back to Germany for defense of the Reich as the 9-cm Flak 41(i), although the official designation was the 9-cm Flak 309/l(i). By December 1944, 315 such guns are mentioned in German records, though many were emplaced in Northern Italy. The Allies too captured many 90/53s in their march north and used them for the coast defense role with British coastal batteries around the main Italian captured ports. Artillery Semovente M43 da 105/25 "Bassotto"
This vehicle came into production on 2 Apr 43. Considered to be the best in Italian Self-Propelled Guns (SPG) it was armed with a 105 mm 25 Calibre howitzer on a M43 chassis. This chassis was the same as the M 15-42, but widened 2.4 meters. The hull superstructure had 70mm of armor protection and the rest of the vehicles armor ranging from 15 mm to 50 mm. This was the heaviest armored vehicle built by the Italians during WW2. Owing to it's width and low silhouette, Italian armored artillerymen affectionately called it "Bassotto" (Dachshund). Only one "gruppo" was operational prior to 8 September. This unit fought the Germans outside of Rome for control. Surrendering vehicles were used by the Germans and RSI armored elements in Italy. In 1940 the need for a "heavy" tank was perceived by the Italians and plans were drawn up into what became the P.40 (originally designated as the P.75). The prototype was tested in early 1942 and mounted a 75/18 gun/howitzer and was powered by a 330hp diesel engine. Armament on the first prototype was changed to the longer 75/32 gun. This was the gun selected for use on all production models. The diesel engine proved to be wanting and consideration was given to the V12 engine from captured Soviet T-34 tanks! Productions models of the tank were equipped with a 420hp gasoline engine. No P.40, completed prior to the Italo-Allied armistice, saw service with Italian armored units. All units produced were captured and added to German stock. Some hulls, without engines, were dug in and used as static forts. Some sources state that 21 while others state 24 units were produced under Italian administration. As many as 80 were produced by the Italians under German direction. Wheeled assault gun Cannone semovente Breda 501 "Studio 102"
Considered "the mother of all the autocannoni", a formidable challenger if Ariete and Centauro divisions could have it, most of allied tanks in north africa were destroyed just by autocannoni. Little is known about this vehicle built by Breda. The unused wheeled desing allowed it to travel at higher speed and guaranteed more agility in the battlefield. Breda began to study an armoured autocannone at the beginning of 1942. It seems that Breda try to collaborate with Ansaldo, but this attempt was unsuccessfull (Ansaldo was trying to build an autocannone on the SPA Dovunque 41 chassis). The prototype was read for tests on the end of July 1943. Test began soon after. The armistice prevented any order, so it was never built. The "autotelaio tubolare speciale Breda" was a new 6x6 chassis expressely studied by Breda for an autocannone. It had 6 wheel drive: the forward axis (with steering drive) had "single" pneumatic wheels "9,75x24 artiglio", while the other two had "double" wheels. It could mount also "double" forward wheels (the change could be done in the field using the 2 reserve wheels). The engine was collocated in the rear. The gun was aimed by two artillerymen sitting aside and rotanting with the gun. They could fire with a lever control. They and the other artillerymen were protected by a shield. The "ginocchiello" was high 2050 mm from the ground and allowed a maximum elevation of 23 degrees, and an azimuthal rotation of 180 degrees (90 left and 90 right). For rotations of less then 30 degrees left and 30 rightit could fire without rotating the flanks of the superstructure. For higher angles flanks could be rotated by 90 degrees (thus they were horizontal, allowing more room for the artillerymen) or of 180 degrees if needed. The Italian Army was not far behind the Germans in realizing the need for assault guns and developed a string of vehicles that outwardly resembled the StuG III. These Italian assault guns were produced in appreciable numbers for they were better armored and quicker to produce than the contemporary Italian tanks. But by the time significant numbers had been issued, Italy was effectively out of the war, and most of these guns fell into German hands. The majority of these semovente were armed with 75mm and 105mm guns and howitzers, but were mostly direct fire weapons. The Italian artillery arm still needed self-propelled artillery weapons to support the armored formations. Ansaldo therefore diverted some of its development facilities to design a powerful artillery weapon that could be carried on a trucked chassis. In the end, Ansaldo settled on an existing weapon, the Canone da 149/40 modello 35 and placed it on a much modified Carro Armato M15/42 tank chassis. The selection of these two pieces of equipment was made in order to produce as good a carriage/weapon combination as possible. The snag however was that the Italian army was already crying out for large numbers of both the gun and tank and Italian industry could not keep up with the demand. This new weapon, the Semovente da 149/40 got off to a shaky start. The Semovente da 149/40 was a completely unprotected weapon as the long gun barrel was placed on an open mounting carried on the turretless tank chassis. The gun crew stood in the open to serve the gun that had is trunnions mounted right to the rear to absorb some of the recoil forces produced on firing. It was late 1942 before the first prototype was ready for prolonged firing trials, but even before these were over unsuccessful attempts were being made to start production. Before the lines could start rolling the Italians surrendered to the Allies and the Germans took over what was left of the Italian economy. Thus the Semovente da 149/40 prototype remained the sole example of what seemed to be a promising design. The Canone da 149/40 modello 35 could fire a 46kg shell to a range of 23700m, at which distance the lack of protection for the gun crew would have been of relatively little importance. Some aviation experts consider the FIAT G55 Centauro the best single seat interceptor produced for the Italian air force in World War Two. The Fiat G55 Centauro was a redesigned version of the G50 Freccia. Differences included a DB 605 A-1 engine, an improved fineness ratio of the fuselage and a redesigned wing, built in 2 sections ,bolted together at the centerline for greater efficiency. Metal stressed skin was used and the metal framed airlerone was fabric covered. The first prototype was flown on April 30, 1942 and production started in the beginning of 1943. The initial model was the G55/0 which held a 20mm MG 151 cannon and (4) 12.7mm Breda SAFAT machine guns. The "O" model was succeeded by the "I" model which held three 20mm MG151's and two Breda SAFAT machine guns. Deliveries of the G55 to the 53rd Stormo and the 353rd Squadriglia of the 20th Gruppo just started when Italy surrendered to the Allies on September 8, 1943. Because of Italy's surrender, the G55 did not see combat with the Regia Aeronautica. However, factories which were building the G55's were still under the control of the Republica Sociale Italiana (Salo Republic) in northern Italy, and several thousand were ordered. The G55 became the RSI's standard aircraft for their air force. Shortages began to develope as the DB 605 A-1 engines became scarce and only 105 FIAT G55's were produced by the time the Allies overran all of Italy. Other models developed based on the G55 which were the G55/II with 5 20mm cannons and the G55/S Torpedo Fighter, which carried one 979.2 kg Whitehead fiume torpedo beneath the fuselage. Both of these variations of the G55 flew in 1944. Air transport Savoia Marchetti SM.81 "Pipistrello"
In 1935, the SM.81 Pipistrello (Bat) made its debut and marked a definite step forward in the development of military aviation. The excellent overall qualities of this aircraft were first tested in the Ethiopian campaign and then in the Spanish Civil War. The SM.81s success in combat directly transformed into a series of orders that eventually led to the production of 534 SM.81s. However, as in the case of other combat planes produced in that same period, the Spanish Civil War did not provide very reliable proof of what subsequent needs were to be. The SM.81, clearly out of date by the outbreak of World War II, remained in service for the duration of hostilities, operating on almost all fronts, although it was gradually phased out to play a secondary role as a transport. The SM.81's direct predecessor was the SM.73, a commercial airplane, whose prototype appeared on 6/4/34, and which was an immediate commercial success. It was this aircraft that provided the basis for the construction formula that was to remain virtually unchanged in SIAI Marchetti's later production, a three-engine, low-wing monoplane with a wood and metal structure and wood and fabric covering. The military version was presented toward the end of the year and was subjected to a whole series of operational tests by tThe SM.81 went into service early in 1935 and made its military debut in Africa that same year. After the experiences of the Spanish Civil War, the appearance of the stronger and more reliable SM.79 consigned the older SM.81 to a secondary role. At the beginning of World War II, the SM.81 was gradually withdrawn from front-line service in national territory and was used mainly on the African and Russian fronts as transport aircraft. 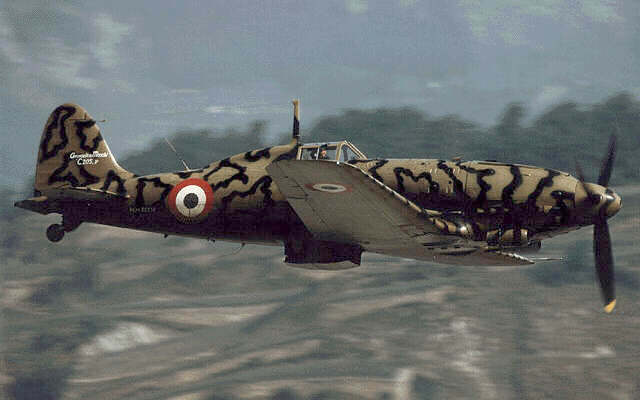 After the Armistice, only four SM.81s were left in southern Italy. The others that remained went in the north to form part of two groups of transport planes in the air force of the pro-axis forces.he Regia Aeronautica before going into mass production. Piaggio P 108 was othe only four engines weight bomber to be used in WWII. It was derivated from the P 50 II and flew in november 1939 but during some tests the Mussoline's son died for a crash of his plane. Main features were to be monoplane, four engines with a retractable landing gear. The B version was the bomber version and a total of twenty-four examples were built and employed in 1942 in offensive reconnaissance in the Mediterranean area, again with night missions on Gibraltar and Algeria. Other versions were made, like the P 108A, P 108B, P 108T and a civil version called P 108C with pressurized cabin for thirty-two seats ( sixteen for the night employ ). Detail design of the Re 2007 single-seat jet fighter began in October 1943. With component manufacturing began shortly afterwards. All design work had to be based on the known dimension of the Junkers Jumo 004 turbojet engine, it's intended power plant, but could progress no further by January 1944 owing to to lack of detailed information relating to the engine and it's installation. Hauptmann Bohm, the Luftwaffe's senior engineer at the Reggiane plant, could obtain no definitive decision concerning the supply of the two Junkers Jumo 004B's which had been promised by the Germans. On the 7th January 1944, Roberto Longhi wrote to Count Caproni, requesting that he intercede with the German authorities as design work had stalled. In the meantime, much of the rear fuselage, wing spars, ribs, undercarriage and the cockpit were built but because of the inability to obtain adequately detailed information relating to the engine work once again stalled. In October 1944 the completed components were moved to the Caproni plant at Taliedo, where they would remain until the end of the war, when they were then shipped to the U.S.A. If built the RE 2007 could be considered the best jet fighter not only of WWII but also of the late 40s and good enough in the early 50s. In the years immediately preceding Marshall Badoglio's anti-Fascist coup and the subsequent capitulation to the invading Allies, the Italian aircraft industry was just beginning to emerge from the technical backwater it had occupied since its heyday in the early 1930s. By hastily fitting the German powerplants to existing airframes like the Macchi MC.200, FIAT G.50, and Reggiane RE.2000, the engineers had also met the immediate needs of the Italian pilots at the front. SIAI Savoia-Marchetti designed, built, and tested two twin-engined fighter designs, the SM.91 and a derivative, the SM.92. Both were heavily armed, twin-boom two-seaters powered by pairs of imported, 1475-hp DB.605A-1 engines. While the SM.91 proved thoroughly satisfactory in tests, the Savoia-Marchetti engineers were already looking for ways of boosting performance still further. Since further power would not be immediately forthcoming—the larger displacement DB.603 was not yet available to the Italians—drag reduction seemed the only course open to the designers. Keeping the same engines and the same, basic wing and tail design, the designers abandoned the central gondola and placed the crew in a redesigned port tail boom. They installed two 20-mm MG.151 cannon in the leading edge of a now substantially narrower center section, one MG.151 between the cylinder blocks of the starboard engine, firing through the airscrew hub, and two synchronized, 12.7-mm, Breda-SAFAT machine guns under each engine. The tail wheel now retracted into a pod on the centerline of the horizontal stabilizer. A single, remotely aimed 12.7-mm Breda-SAFAT was mounted at the rear of this pod. The new SM.92 flew November 12, 1943, after Italy's capitulation. All testing was carried out under Luftwaffe control. As the engineers had hoped, performance was significantly better. But it was all for nought. Northern Italy was now to all intents and purposes a province of the German Reich. Her production resources were German resources. While the Luftwaffe technical evaluation team found the SM.92 interesting, they preferred to devote Italy's resources to the production of existing, German types and types that better fit Luftwaffe requirements and operational doctrine. Work was stopped, and the pilots that remained in the dwindling rump of Fascist Italy retrained on the Bf109G. Between 1925 and 1945, the Regia Marina built only one kind of explorer, the "Navigatori" class. In 1926 the Italian Navy decided to built a new series of destroyers to encounter the French Jaguar and Guépard classes - an enlarged Exploratori-type. With smaller dimensions like the previous Sella class the displacement grow about 200 ts. The general silhouette, armament, and the location of the smokestacks did not vary much between older and newer models. All the italian destroyers, from the "Sauro" class onwards, had a main armament of two twin 120 mm. guns, one on the forecastle and one at the stern (often on a bandstand), the "Navigatori" class (armed with six 120mm. guns in three twin turrets, the third being between the torpedo tubes, amidships), this was the faster destroyer class of the conflict. The submarine Cagni, as it was more commonly knows, was part of the class called “Ammiragli” (Admirals), which included four boats named after famous personalities in the history of the Italian Navy: Saint Bon, Millo, Caracciolo, and Cagni. Of the four, only the last one survived the conflict. These boats were designed for the ‘guerre de course’ on distant oceans, and met very high operational requirements - range (up to six continuous months, or about 3200 km), armament, reliability – hardly obtainable in a conventional submarine, even today. The ‘Ammiragli’ were, overall, the best Italian submarines produced up to that period. The Naval Landing Crafts - called "Marinefährprahm" in German were the largest landing craft used by the Kriegsmarine. Although required for Operation Sealion (Invasion of England) in 1940, the first of this transport ships were delivered in 1941. The development of this ship went through several Types (A-D), whose size and armament grew from class to class. They were mainly used for transport and supply duties and not for their initial invasion role and could transport 200 Soldiers or 140ts of equipment, including Tiger tanks. Marinefährprahme were used in almost all Kriegsmarine operational areas, the British Channel, the Mediterranean and the Black Sea. Italy got the license to build in their own naval yards renaming them "Motozattera MZ"
Built as a direct reply to the French Dunkerque fast battleships. These ships outclassed them by miles. A notable feature was the raised height of the aft main turret, which was designed to avoid blast damage to the two aircraft carried on the poop deck. By far the best Italian battleships ever built and first after WWI. these ships were heavily armed, they lacked radar and good armor protection. Littorio class battleships had radar installed by 1942 and it was called the Gufo system. "Gufo" meaning owl in Italian. While the protection of the Cavour class battleships was the original dating back to 1914-15, the new units had a more modern armor similar to the one adopted by other navies such as in the British battlecruiser H.M.S. Hood, the battleships H.M.S. Nelson and H.M.S. Rodney, the German Graf Spee, the French Richelieu, or the Japanese Yamato. The armour was not built by vertical plates, like the Cavour, but by two layers of plates placed an at angle protruding on the high part and caving on the lower one. The external plate was 350mm thick and at about 600mm a second armor of about 36mm served as a shield against shrapnel. The horizontal armor was designed against the new aerial bombs and was organized over three bridges. Underwater defenses were particularly taken care of, on both the Cavour and Littorio class with the adoption of an "absorbent structure" invented by General Umberto Pugliese. This structure was made of a large cylinder of low resistance contained in a stronger structure filled with liquid and completely surrounding the inner cylinder. The explosion of a torpedo was to cause the external bulkhead to give way and the pressure generated by the explosion would be transferred by the liquid and absorbed by the internal cylinder thus preventing damage to the internal bulkhead. Only one Battleship was lost in the war, the Roma, which was sunk by a German guided missile called the 1400 FX on September 8, 1943 after the Italian surrender to the Allies. The missile was launched by a bomber and controlled by a bombadier. It struck an ammunitions magazine which exploded. The ship sank in just under 21 minutes taking the Italian Naval Commander in Chief down with her. The end of the Great War saw the Regal Marina come out of it with a new weapon: the MAS (Motoscafo Anti Sommergibile – Anti Submarine Motorboat). This weapon had given to the Italian Navy the most glamorous successes, such as the sinking of the battleships SZENT ISTVAN and WIEN, respectively, by MAS 15 and 9. By the end of the conflict, 422 MAS had been ordered; of these 244 were already in service, others would be completed in the postwar period, and many were canceled or sold to private individuals or completed as civil boats. At the start of war (for Italy 10th June 1940) Italy had in service 46 modern MAS of the "500" class, 25 of the 1st series (denomination from MAS 501 to MAS 525, also if MAS 506, 508, 511 and 524 were sold to Sweden at the beginning of 1940) and 25 of the second series (denomination from MAS 526 to MAS 550), other 14 similar units were under construction ("500" class 3rd series, denomination from MAS 551 to MAS 564). Secondary Armament: 2x 450 mm. torpedoes (2 launchers), 10 depth charges (1 launcher). Once Italy realized the importance of airpower in the sea, the construction of the Aquila took place. The Aquila was 1 of 3 planned aircraft carriers for the Italian navy. The Aquila was to hold up to 53 Reggiane Re 2001 aircraft. Construction began in 1942 through a modified tanker. In 1943, Italian frogmen partially scuttled the ship to prevent it from getting into German hands. It was then salvaged , but scuttled by the Germans in 1945. In 1946 the Aquila was salvaged but to only to be towed for scrap metal. It never entered service for the Italian Navy. During the late 1930s, the Italian Army decided to replace the bulk of their heavy artillery park that by that time resembled an oversize military museum with all the World War I pieces. The army selected two good and thoroughly modern designs, one a gun with a caliber of 149mm and a howitzer with a caliber of 210mm. An Italian Army team designed the 210mm howitzer, but Ansaldo produced the howitzer. The howitzer was known as the Obice da 210/22 modello 35. Although shown in prototype form in 1935, it was not accepted for service until 1938 when a production order for no less than 346 was placed. The modello 35 was a very sound and modern design. It used a split trail carriage with two road wheels on each side. When the howitzer went into action these wheels were raised off the ground and the weight was assumed by a firing platform under the main axle. The entire weapon could then be traversed 360 degrees once the stakes that anchored the trail spades to the ground had been raised. In service the modello 35 was successful enough. It could be transported in two loads, but for prolonged moves it could be broken down further into four loads with extra loads for assembly equipment and accessories. The modello 35 attracted the attention of the Germans and, when the Italians surrendered in 1943, Ansaldo was forced to continue production of the modello 35 for the German units in Italy and in German service was known as the 21-cm Haubitze 532(i) and was still in action when the war ended. Of all the anti-aircraft guns in service with Italy from 1941-1943, none was better than the Cannone da 90/53. It was an excellent weapon that could stand comparison with any of its contemporaries and it was a good, sound and modern design. The Cannone da 90/53 was built and designed by Ansaldo and the first examples were produced in 1939, with production being authorized in three main versions. The most numerous version was supposed to be the modello 41P intended for static emplacement only with 1087 guns of this version being ordered. The Italians used the 90/53 as a multi-purpose weapon on occasion, but some were emplaced as dual-purpose anti- aircraft/coast defense weapons. At times they were used as long-range field guns and the performance of the gun was such that it could match the 88 as an anti-armor weapon. Numbers of the gun were also diverted to the Italian Navy. The Germans valued the 90/53 so highly that following the Italian surrender in July 1943, they impressed as many of the 90/53s as they could find and sent many of them back to Germany for defense of the Reich as the 9-cm Flak 41(i), although the official designation was the 9-cm Flak 309/l. By December 1944, 315 such guns are mentioned in German records, though many were emplaced in Northern Italy. The Allies too captured many 90/53s in their march north and used them for the coast defense role with British coastal batteries around the main Italian captured ports. By the 1930s even the large number of weapons at hand were seen to be no real answer to the more modern designs, so a program of new weapon design was undertaken. The first weapons to be considered were those of the field artillery and thus the first post-war artillery design to be introduced since 1918 was the Cannone da 75/32 modello 37. If the info on http://www.luft46.co...ss/mep1101.html is true, then you'd be correct. However the info on that site is proven to be questionable more than once. Rygar did the research for Italy & he has been known to exaggerate their capabilities some times. I can’t say which is right, but I think the Re-2005 probably would have been better then the Meteor or Me-262 but that’s about it. Hmm I wonder if it was faster than the ME-262C SCHWALBE. Overall it still is a considerable improvement from the CAPRONI-CAMPINI slow jet ! to this.